Partners and affiliations with reputable organizations and companies that help give us the reputation as being Colorado Springs Best Auto Mechanic Shop. Please feel free to request a price quote or schedule an appointment at any time using our online forms. Trans Tech Auto & Truck is an automotive repair facility providing the greater Colorado Springs area with high quality auto repair services from a team of specialists, some of which are ASE Certified technicians. The team members on the Trans Tech Auto & Truck staff that are ASE Certified are part of one of the largest non-profit organizations in the world. Currently over 350,000 thousand fellow automotive repair professionals like those working at Trans Tech Auto & Truck are ASE Certified. Trans Tech Auto & Truck understands that for today’s consumer, automotive repair is more complex than it has ever been. And as vehicles become increasingly more complicated, so too does the technology and diagnostic tools to repair them. 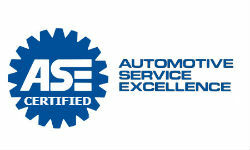 This is why we are ASE Certified, because we know how important it is for people in and around the greater Colorado Springs area to locate knowledgeable and competent automotive professionals. 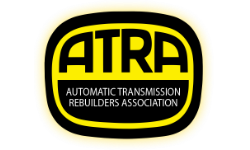 Trans Tech Auto & Truck is an active member in TRNI, the Transmission Rebuilders’ Network. 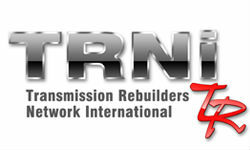 As a member of TRNI, our transmission rebuilders benefit from a variety of services and resources available only to TRNI members. Some of these resources include a access to other transmission repair specialists that have over 75 years of combined experience at troubleshooting, diagnosing, and rebuilding automatic transmissions. Our transmission specialists also have access to relay and fuse panel identification resources, power and ground distribution charts, and over 70,000 technical service bulletins! Trans Tech Auto & Truck takes great pride in our reputation in the Colorado Springs area as being a business that is accredited by the BBB (Better Business Bureau). Our automotive repair shop makes a good faith effort in resolving any complaints by our customers. We take our BBB accreditation very seriously as we know that to offer auto repair services that benefit and are approved by our Colorado Springs area customers, we have to be conscientious of always doing what is right for our customers. Trans Tech Auto & Truck takes great pride in our membership with the NFIB, or National Federation of Independent Business organization. As a member our automotive repair shop that serves the greater Colorado Springs area, Trans Tech Auto & Truck is a part of the largest advocacy organization that represents businesses of all sizes. Recently ranked as the most influential business organization in the Washington’s Power 25″ survey that is conducted by Fortune Magazine, the purpose of the NFIB is to influence public policy at both state and federal levels and to act as a key resource for businesses like Trans Tech Auto & Truck. 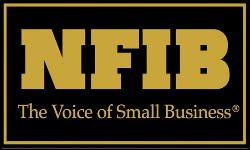 Our NFIB affiliation is also beneficial as it provides us with access to a plethora of business products and services at discounted costs as well as providing timely information intended to help our auto repair shop succeed!